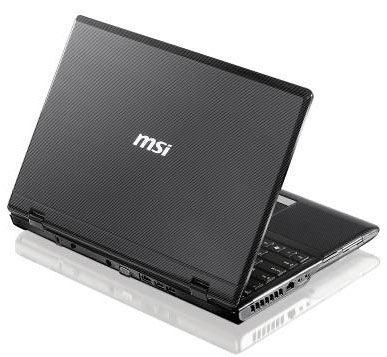 MSI launches a brand new 17.3 notebook. It is the new CX705MX and has an Intel’s Core 2 Duo processor with SiS chipset. It comes with DDR2 memory, and up to 500GB hard drive and 512MB ATI Radeon HD 545V graphics card. This notebook has a 45-degree beveled edges and it’s cross hatch design color film print coating on the cover and wrist rest areas prevents scratches and wear. The notebook is part of the CX705 series. It has a cute 17.3-inch 1600×900 LCD display. WIFi 802.11b/g/n and Bluetooth 2.1 are on it. You can also find a 1.3 Megapixel camera, 4-in-1 card reader, chiclet keyboardstereo speakers with subwoofer, and a 6-cell battery.